Abraham Lincoln's legacy as the “Great Emancipator” has made him one of the most widely recognized figures in American history. Relatively little attention has been paid, however, to Lincoln's plans for the slaves freed by his famous Proclamation of January 1, 1863. For the first few years of his presidency, Lincoln toyed with the policy of colonization – the resettlement of former slaves by transporting them to the tropical locations abroad. Historians have long debated the significance of his involvement in this peculiar and controversial “solution” for a post-slavery America, though interest in colonization seemed to wane as the Civil War progressed. Documents exist, however, that tell a different story. Along with co-author Sebastian N. Page, Dr. Magness combed through extensive archival materials to expose what history has neglected to reveal -- that Lincoln continued to pursue colonization for close to a year after emancipation. 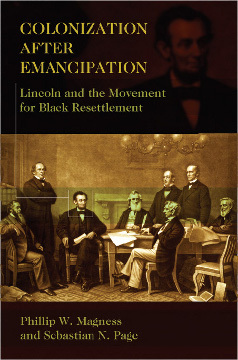 Magness and Page's “Colonization after Emancipation: Lincoln and the Movement for Black Resettlement” reveals the hidden history of Abraham Lincoln's negotiations with the British government and other colonial powers to establish settlements for the freed slaves in the Caribbean and Central America. Lincoln initiated the project only weeks after signing the Emancipation Proclamation during a highly secretive visit with Lord Lyons, the British minister to the United States. In the months that followed, a plan emerged to relocate the slaves to such locales as British Honduras, Guiana, and the neighboring Dutch colony of Suriname under the direction of the United States Emigration Office and its sometimes irascible commissioner, James Mitchell. Lincoln's final colonization program collapsed before the end of the war amidst political wrangling and behind-the-scenes intrigue at the highest levels of the cabinet, but not before it left a little-noticed paper trail spanning three continents. Magness and Page's work reveals this new chapter in the presidency of Abraham Lincoln, while also exploring evidence that he may have been planning to revive the colonization project on the eve of his assassination. A valuable contribution to Lincoln studies and Civil War history, “Colonization after Emancipation” presents a groundbreaking account of forgotten history and illuminates just how complex, and even convoluted, Abraham Lincoln's ideas about the end of slavery really were. Colonization after Emancipation: Lincoln and the Movement for Black Resettlement explores the previously unknown truth about Lincoln's attitude toward colonization. Scholars Phillip W. Magness and Sebastian N. Page combed through extensive archival materials, finding evidence, particularly within British Colonial and Foreign Office documents, which exposes what history has neglected to reveal -- that Lincoln continued to pursue colonization for close to a year after emancipation. Their research even shows that Lincoln may have been attempting to revive this policy at the time of his assassination. Using long-forgotten records scattered across three continents -- many of them untouched since the Civil War -- the authors show that Lincoln continued his search for a freedmen's colony much longer than previously thought. Colonization after Emancipation reveals Lincoln's highly secretive negotiations with the British government to find suitable lands for colonization in the West Indies and depicts how the U.S. government worked with British agents and leaders in the free black community to recruit emigrants for the proposed colonies. The book shows that the scheme was never very popular within Lincoln's administration and even became a subject of subversion when the president's subordinates began battling for control over a lucrative “colonization fund” established by Congress. 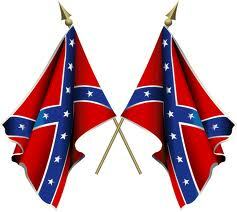 Colonization after Emancipation reveals an unexplored chapter of the emancipation story. A valuable contribution to Lincoln studies and Civil War history, this book unearths the facts about an ill-fated project and illuminates just how complex, and even convoluted, Abraham Lincoln's ideas about the end of slavery really were. This is a rare book that is bound to cause some controversy in the academic community. Printed by the University of Missouri, Magness and Page, through painstaking research have uncovered new evidence that definitively proves that Lincoln was actively pursuing colonization projects after the issuing of the emancipation proclamation. One of which was highly developed (British Honduras), and two others which are only know to have been in their infancy stage (Suriname and Guiana). To explain this, historians have agreed on two arguments concerning Lincoln's views on race and colonization. The "lullaby thesis" and the "change of heart thesis." The lullaby thesis primarily argues that Lincoln was a supporter of colonization only as a means to trick slave states into adopting emancipation and then never seriously go through with colonization, so in other words to "lull" them. This of course ignores the fact that Lincoln was an active advocate of the America Colonization Society for most of his adult life, but some very distinguished historians subscribe to this. The other explanation is that Lincoln had a sudden change of heart. The Île à Vache colony failed, the Republican party was mostly against colonization, Lincoln had trouble convincing free blacks to resettle and he saw that blacks could make good soldiers. Therefor this book essentially argues against those two points. I don't want to write about every fact of the book, but in light of the new discoveries that Magness and Page made, it is much more plausible that Lincoln was still struggling with his beliefs on race and the future of blacks. Since the war was fought to reunite the country and not over black civil rights, Lincoln wrestled with how to repair the nation after the war. And if colonization could help that goal, he was a supporter of it. The book is in no way a screed or a condemnation about Lincoln, but it is a more accurate reflection on how he intellectualized race, one that is not as pretty or progressive as the Lincoln we learn about in school. Île-à-Vache - is a French pronounced Caribbean island, one of Haiti's satellite islands. It lies in the Baie de Cayes about 6.5 miles (10.5 km) off the coast of the country's southwest peninsula, roughly between the town of Les Cayes and Pointe l'Abacou. It was formerly known by the name of Abacca. Administratively, it became a commune in 1976 as part of the Les Cayes Arrondissement in the Sud Department.